Nathan found a little used Batman figure at the grocery store, laying on top of a bunch of boxes while we were checking out our groceries. Ok, so maybe I am a bad Mom, but… he asked me if he could take it home and I said sure. He couldn’t believe this… that I would let him take this Batman figure home, just like that. 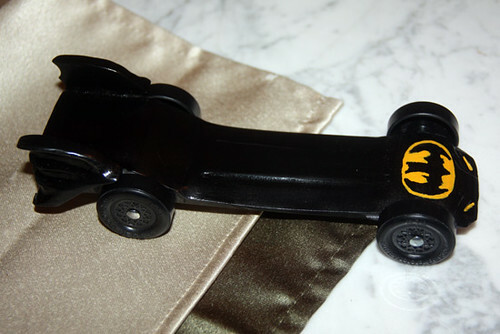 I know, I know, I should have had him take it to lost and found, but… I didn’t… it just didn’t look very valuable to me, so hopefully some little kid isn’t crying still for his lost Batman toy. 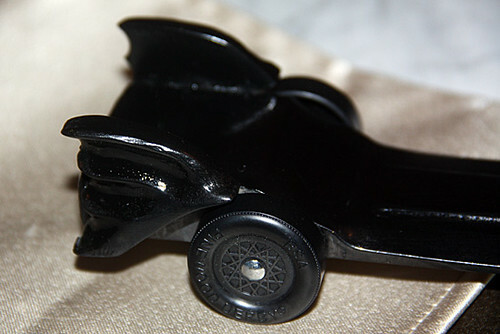 We wiped down this nasty abandoned Batman in our car with baby wipes and Batman became Nathan’s obsession for several weeks. 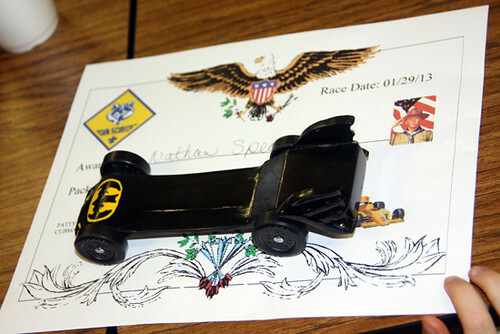 Such as obsession that Nathan wanted to make a Batman pinewood derby car. 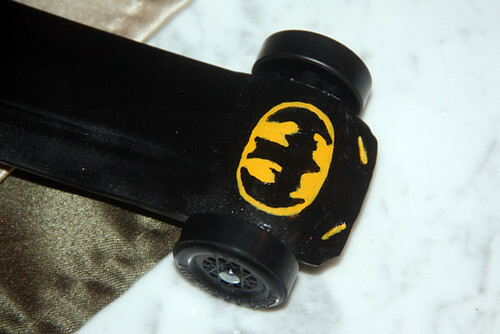 This is Nathan’s Batman pinewood derby car. Just some detail shots. 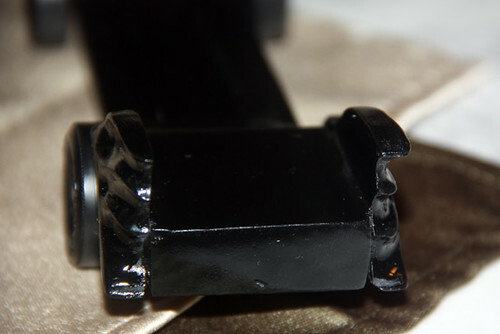 There are a lot of little details on this car that I just love. 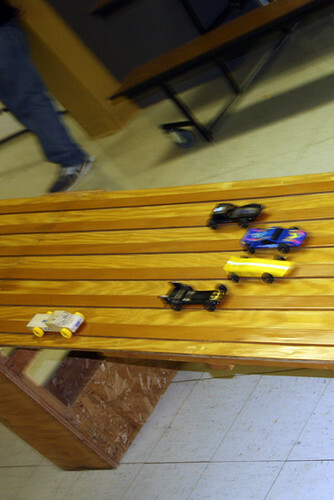 Nathan’s pinewood derby was yesterday, on a Tuesday night… starting at 6pm! 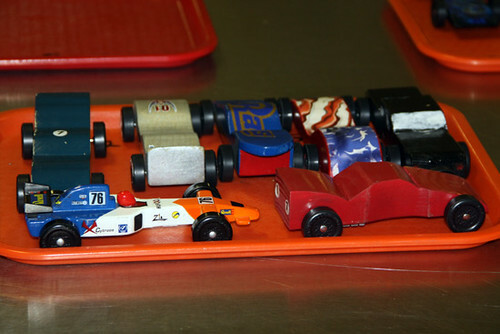 First they weighed the cars and by 7pm the race started. 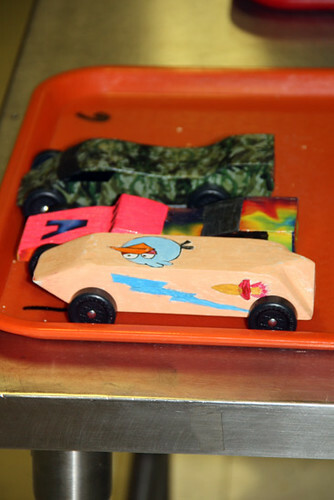 Nathan and Autumn’s cars both weighed 4.9 oz.This was a really, really late night with both kids having school the next morning. Here is a photo of Nathan by the track. 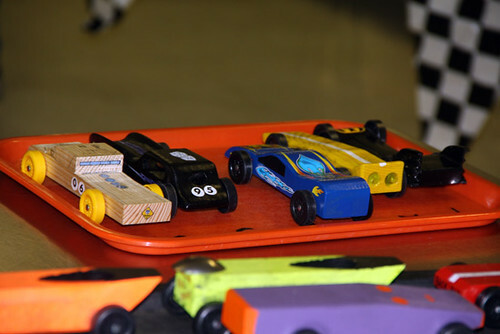 Nathan’s car during the race… they aren’t announcing results until the next meeting in February, but we are thinking Nathan’s car will place third. 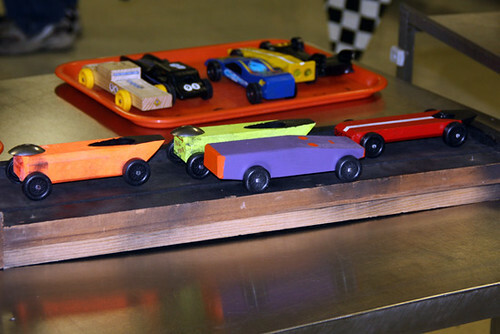 Autumn’s car is the pink one in the middle… her car will def. 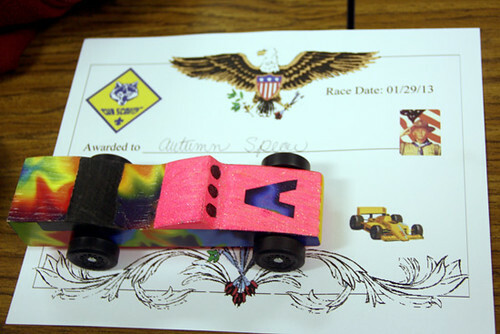 place in 1st. And, you know me. 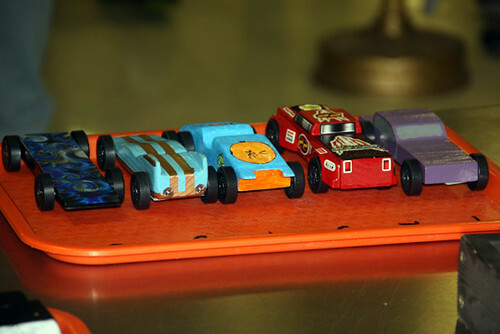 I had to take photos of all the cars. Like I said, it was a long night… and, I had to walk Autumn over to the bathroom twice. 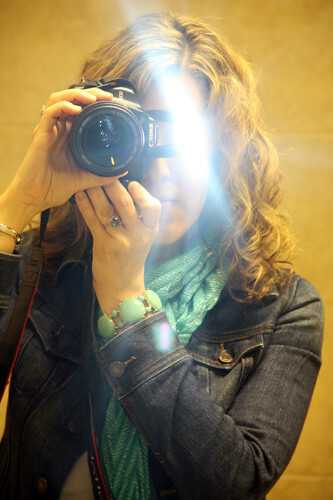 I got a little bored the second time while I waited for her to use the bathroom and took some shots in the mirror (anyone who took Superhero will remember this lesson!). YES, I was really bored and tired. What a long night! 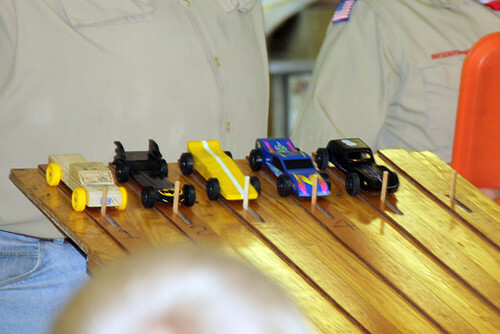 And, Nathan woke up bouncing off the walls remembering EVERY detail… yes, yes… Nathan will be talking about the pinewood derby for MONTHS to come. 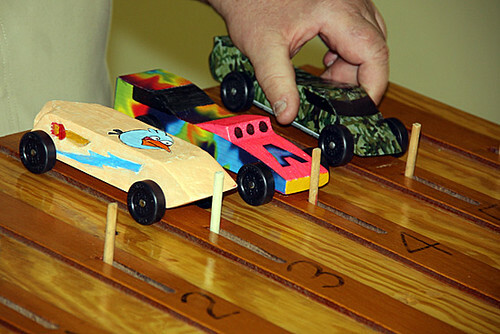 I think in the next month or two they have some sort of boat/gutter derby. 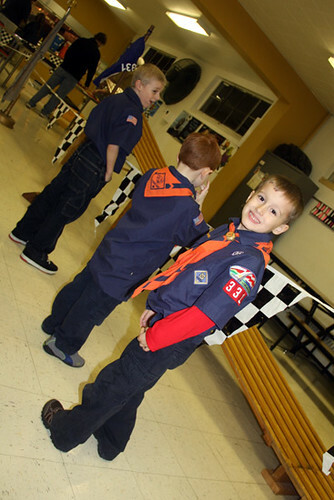 Ah, I am learning all kinds of stuff having a cub scout.